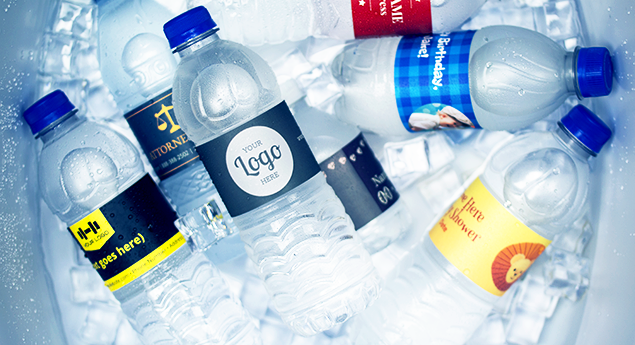 Get custom printed water bottle labels on sheets, rolls or cut-outs. Highest quality water label printing at the industry’s lowest prices, guaranteed! Looking for more sizes? Give us a call, we’ll print any size, shape or volume. Multiple artworks accepted, no setup costs, free design support.